One of the most popular garments worldwide is the t shirt. With more than 7 billion people on our planet how many t shirts, on average, does each person own? Phenomenal figures don’t you think? If you count without stopping until you reach a billion, you’d be counting for around 31 years, 259 days, 2 hours. So many of us, the 7 billion of us, wear t shirts every week. It was estimated that 60% of people in the UK have 10 or more t shirts each. Wow – that’s a lot of t shirts. We wear them at weekends, every day for work, at pop concerts, Olympics and other large events, to commemorate special occasions, festivals, sports, holidays, celebrations, and of course as campaign support. Yes campaign support. Often charities, faith based organisations, run by people with conviction in what they do. Unfortunately the t shirt manufacturing industry has a well-earned reputation for paying tiny wages to those at the start of the whole manufacturing chain – the cotton farmers, pickers, weavers and spinners. Not only tiny wages, but poor unsafe working conditions, blocked fire exits, structurally unsound buildings, cramped conditions, poor lighting, conditions which would be completely unacceptable in the UK for example. The environmental impact of manufacturing a t shirt has equally phenomenal figures for example to manufacture one t shirt can use up to 2,700 litres of water – and often the cotton is grown in countries where water is in short supply. 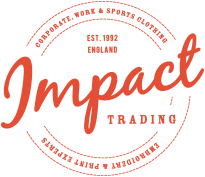 You will notice on our websites www.impacttrading.co.uk and www.cottonroots.co.uk that above products image we show what certifications each garment has. The certifications let you know what ethical and social considerations have been in place throughout the manufacturing process. This is very important to our customers who are looking for a sound supply chain which mirrors their work and commitments. For example Prostate Cancer UK wanted ethically sourced t shirts of retail quality and selected certified organic garments. The Salvation Army wanted to use Fairtrade certified t shirts, polo shirts and hoodies whenever possible for their recent international Boundless conference. They wanted their commitment to “Transforming Lives” to be reflected in the merchandise. 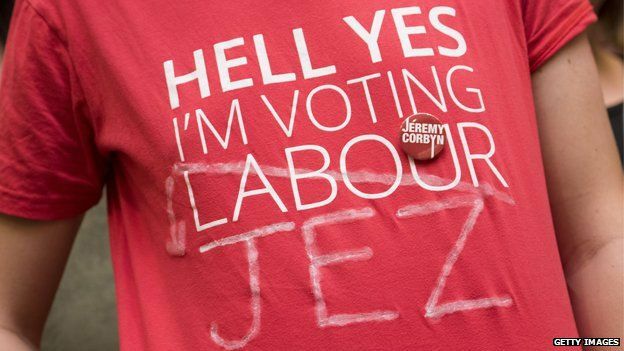 The Labour Party wanted to use t shirts manufactured in Britain for their 2015 campaign. You can still see them making the BBC news even now – scroll down and you will see our famous t-shirt complete with graffiti . I think it was appropriate for the labour Party to support workers in the UK. Neal’s Yard Remedies have selected aprons for their shop staff using organic fabric and we are manufacturing these for them here in Britain as well. The Eden Project are another customer who have decided on our aprons because sustainability n at the absolute core of all their work. Organisations who commit to so much wonderful work can back up their convictions by carefully choosing the t shirts which send out their message. T shirts with good sound manufacturing which is audited. You can find out what each of the certifications mean by clicking on each product, then clicking on the certification for example -Fairtrade certified, organic, Fair Wear, Wrap certified. If you want to know why you can always give me a call for a chat. I love Fairtrade is starts with the cotton farmers the most vulnerable in the whole chain and ends (but includes) us. The t shirt can be traced all the way from the farmers to you the purchaser. What a story for those in your organisation. Your courage and conviction shining through.